FUN-FILLED DAYS FOR FAMILY BONDING AND INTERACTION AT CLUB RAINBOW'S ANNUAL OVERSEAS RETREAT! 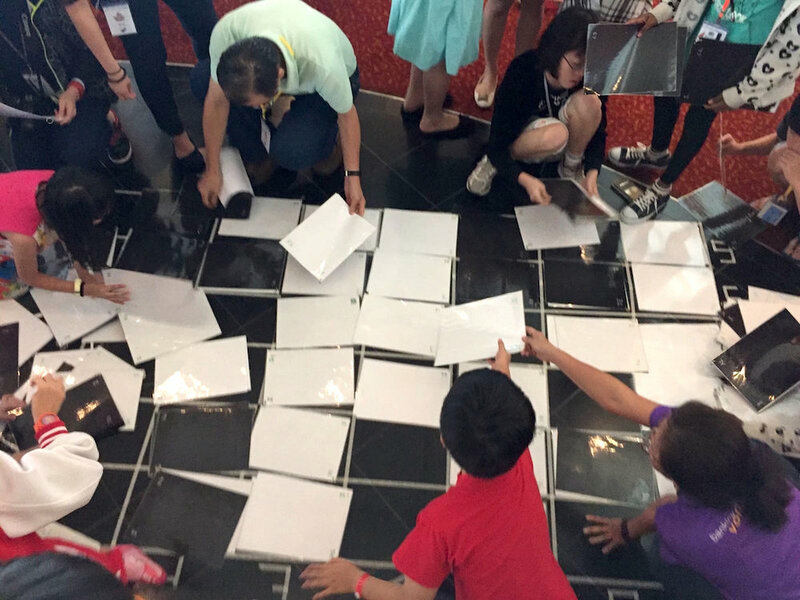 67 families set sail on a relaxing and enriching 4-day, 3-night cruise to Port Klang, Malaysia, with many of the 300-odd family members and volunteers looking forward to the annual overseas retreat. Day 1 saw the traditional BRIDGE ceremony held to celebrate the milestone achievement by Club Rainbow's graduating beneficiaries. There were several opportunities for sharing, interactions and bonding within and between families, as they rekindled their friendship and foster new ones where they could seek support and solace. 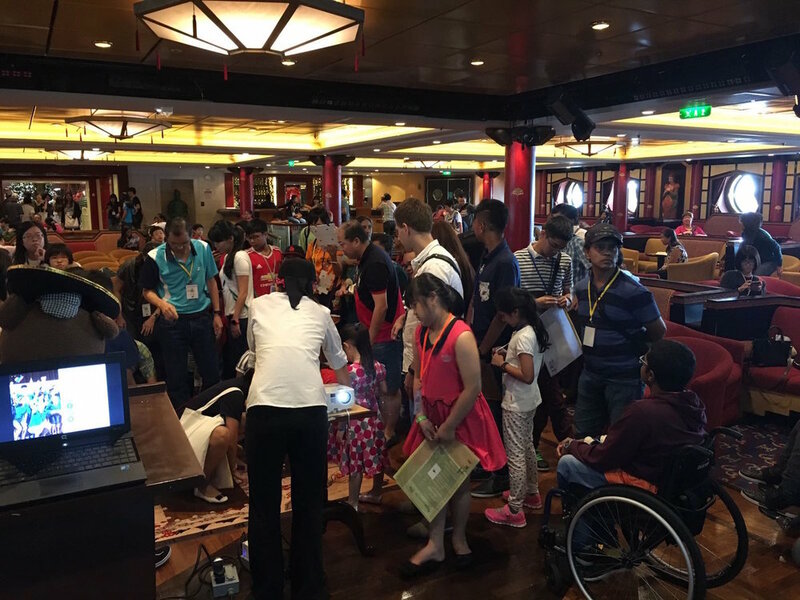 It is for the first time on board the cruise where the entire family - beneficiaries, siblings, caregivers and parents, and volunteers - participated in specially tailored bonding games where they sought after the coveted "pirate treasures". 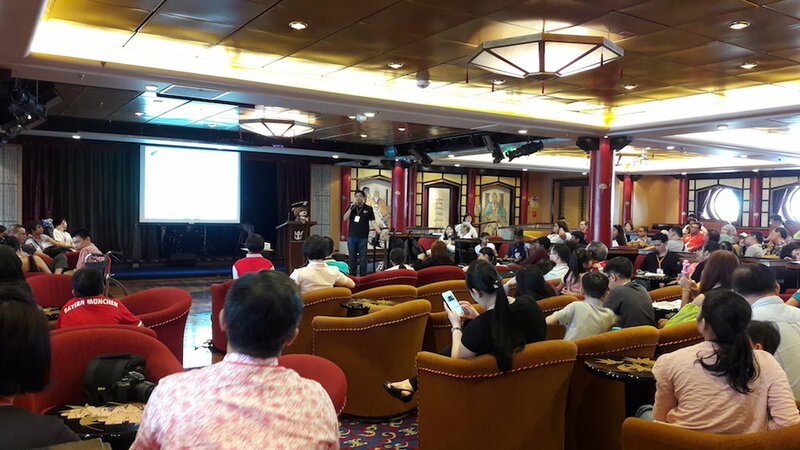 The families also thoroughly enjoyed the myriad activities offered on board the cruise; ice-skating, entertaining shows and parade, shopping on board as well as at the AEON Bukit Tinggi Shopping Mall when the ship docked at Port Klang.